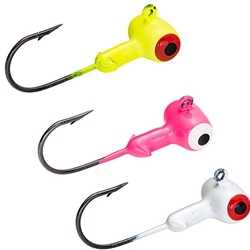 The Mr. Crappie Sausage Heads are designed for the perfect hook set every time. The sausage shaped head prevents it from rolling side to side for the perfect hook set. Great for vertical jigging or casting.